The major reason visitors come to Jerusalem is to explore the old city. Filled with the attractions that make Jerusalem such a unique city the old city is an amazing place to immerse yourself in as a visitor. Just a few of the old city’s attractions include: the Church of the Holy Sepulchre, the Western Wall, and Temple Mount. Built originally in 1004 BC there are four different districts in the old city to explore: the Christian Quarter, the Jewish Quarter, the Muslim Quarter, and the Armenian Quarter. Each of the quarters has its own unique atmosphere, different food offerings, and traditions that reflect its religious heritage. There are seven entries into the old city Herod’s Gate, Lions’ Gate, Dung Gate, Zion Gate, Jaffa Gate, the New Gate, and Damascus Gate. Though the old city is always open for exploration there are security checkpoints set up at the above mentioned gates at night time. Some of the attractions in the old city may charge a fee to enter. 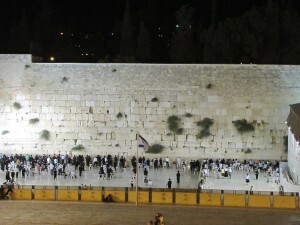 The Western Wall is the most significant historical site for the Jewish faith. Located in the centre of the old city the Western wall is the remnants of King Herrod’s renovation of the second temple and dates back to the 1st century B.C. 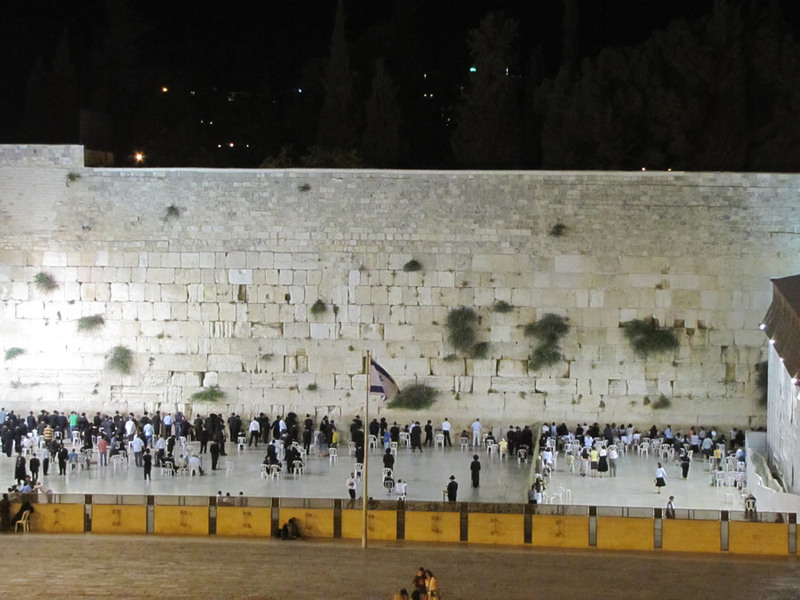 Each year million of pilgrims – both Jewish and non Jewish – make their way to the wall to pray. People write their wishes for god on to small pieces of paper and place them within the cracks of the stones hoping for them to be answered. Part of the Western Wall even descends below the surface of the city. There are tours available to visit the under ground section. The main part of the Western Wall can be found in Prayer Plaza. Access to the Western Wall is available at all times and is free.